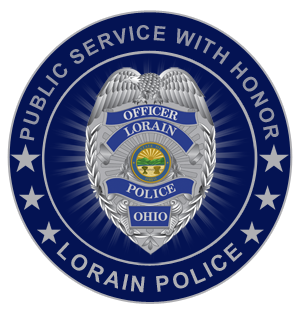 On Sunday, August 14th, 2016 at approximately 2303 hrs, a male was killed in an apparent robbery attempt in the Taco Bell drive-thru at 3671 Oberlin Avenue in Lorain. The victims identity is not being released until the next of kin are notified. The suspect is described as being a black male, thin to medium build and around 6’0 tall. The suspect was wearing a matching outfit consisting of yellow or tan camouflaged pants, shirt, and baseball hat, and was observed fleeing on foot from the scene of the crime. The manner of the victim’s death is not being released at this time. Anyone having information about this murder are asked to contact the Lorain Police Detective Bureau at 440-204-2105. Suspect description is now- Black male wearing a yellow or tan shirt and tan or khaki pants, possibly wearing a tan baseball cap. Believed to be armed and dangerous. Victim-Robert Gnizak (7/7/1967, a Lorain resident) was killed during a possible botched robbery attempt at Taco Bell (3671 Oberlin Ave., Lorain) drive-thru. The victim was found laying dead in the drive-thru when police arrived. His family has been notified.